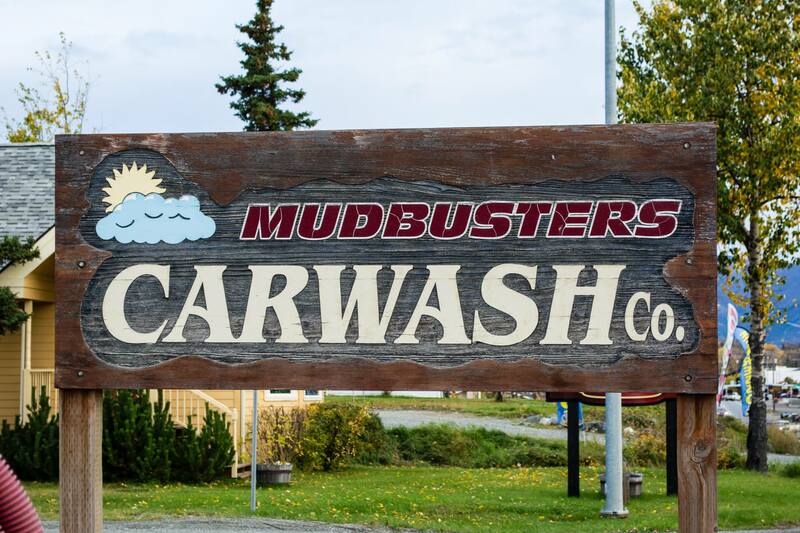 Self Service Wash | Mudbusters Carwash Co. 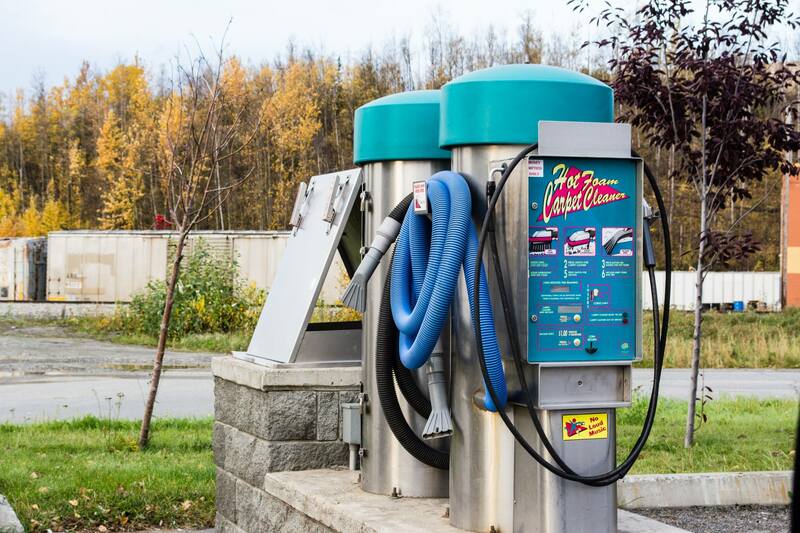 In the self-serve, you have the equipment and products to clean any vehicle. Including under body, engine, interior, inside trailers and pickup beds. You can also thoroughly clean ATVs, heavy equipment, boats, snow machines and much more. Professional car washes are also better for the environment than washing at home, you will use a lot less water and waste water is treated and properly cleaned, instead of soapy water running directly into our soil and streams. 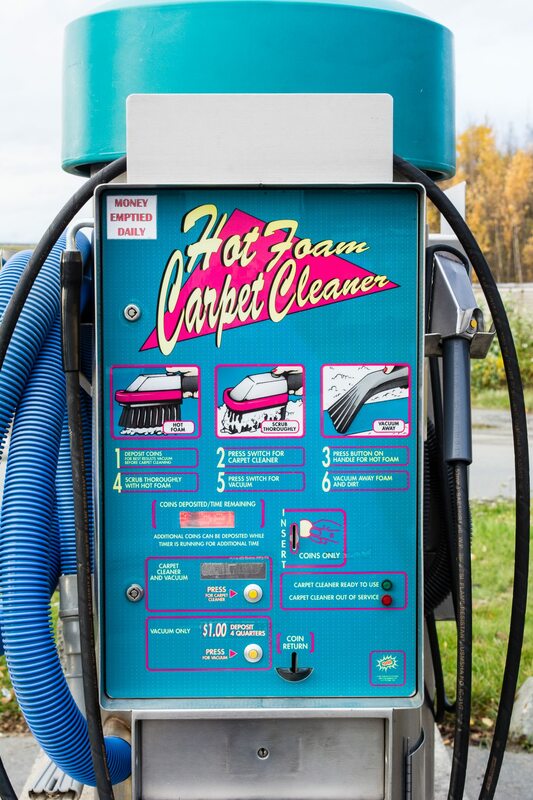 Tire Cleaner – a bright green foamy solution, loosens, penetrates, and washes away dirt, grease, and road film. Makes tires look like new. Excellent for engine cleaning. Simply spray on, then rinse off. Safe for use on your entire vehicle. Presoak – Our presoak is specially formulated for Alaska’s tough cleaning conditions. Presoak/detergent penetrates, emulsifies, softens the bond, releases the grip that grime, sludge, and dirt have on your car. Rinses freely, completely. Leaves no film residue. Will not dull or streak vehicle finish. Bug and Tar Remover – This natural, safe solvent has many of the cleaning abilities of the more hazardous solvents but is environmentally friendly. It’s a great tar and asphalt remover. This is an excellent engine degreaser because it clings to vertical surfaces of the engine and emulsifies the grease. Ingredients penetrate the dirt and put it in suspension, surround the oils in the dirt and don’t allow them to reform or stick to the surface again. Foam Brush – Pink cherry foam cuts through finish dulling road film. We use the softest “Hogs Hair” brushes combined with continuous loads of foam. The exceptionally high level of lubrication prevents brush scratching. Safely cleans all vehicle finishes. High-Pressure Soap – High sudzing power wash that wets, penetrates, emulsifies, and blasts away road film and dirt. Tri-Gloss or Triple Foam Wax Conditioner – A fantastic rich colored, red, yellow, blue, foam show. Designed to maintain and preserve clear coat finishes as well as all modern acrylic and enamel finishes. Protects vehicle finish from harmful sun rays and winter salts. High-Pressure Clear Coat Protectant – A unique lightly foaming clear coat protectant which provides the ultimate in shine and protection. Excellent visible high breaking and beading of water. Spot Free Rinse – Rinse water is softened, to remove calcium and magnesium. Chlorine is removed from city water. Rinse water is then filtered by reverse osmosis. A process which removes any remaining dissolved solids from the water. What is produced is crystal clear, sparkling water, used as the final car wash rinse. It will dry on your vehicle “spot free”.